Who doesn’t love a good candle? Candles are romantic and massages are romantic. What if you put them together? Massaging with wax? I need to see this? 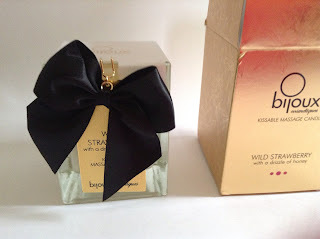 Check out this Bijoux Kissable Massage Candle by MySecretLuxury.com. So what is the Bijoux Indiscret Massage Candle? 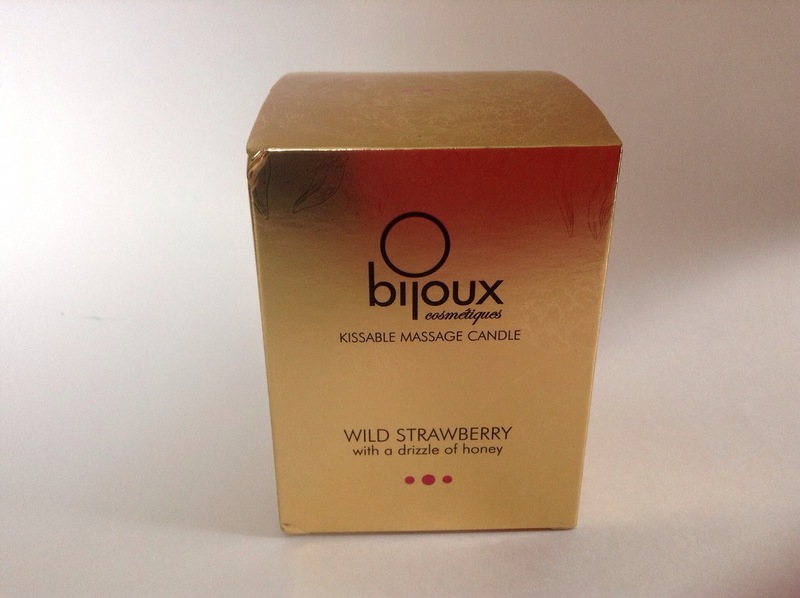 Bijoux Indiscrets Massage Candle is a candle that when lit, turns into a luxurious massage oil. The wax is not as hot as a regular candle so can be used directly on the skin with out burning. So surprise your spouse this Mother’s Day or Anniversary with a gift you both can enjoy. The available scents include: Aphrodisia; Dark Chocolate (edible); and Wild Strawberry (edible). Bijoux Indiscrets’ candle is a massage oil candle that once liquefied, the transforms into a slow absorption, high-slip massage oil that nourishes and hydrates the skin. Each candle is made with the most delicious scents and flavors and combined with vegetable waxes for a truly sensuous glide. With their amazing attention to detail, each Bijoux Indiscrets Massage Candle is presented in a beautifully detailed box and adorned with a removable metal tag with a bow accent. Aphrodisia | Scented | Bijoux Indiscret’s secret recipe with essence of scent of jasmine, roses and dark woods. I love the discreet packaging of this product? What could be in my secret Luxury package? This is a cute and very discreet product. The kids will just think it is another candle and you won’t be embarrassed to purchase one. So get the kids to bed early and enjoy the scents and massage properties of this candle. It will be a win win for everyone! Check out My Secret Luxury items here too. Have you ever used a massage oil candle? We will be giving away one soon, so keep your eyes open.